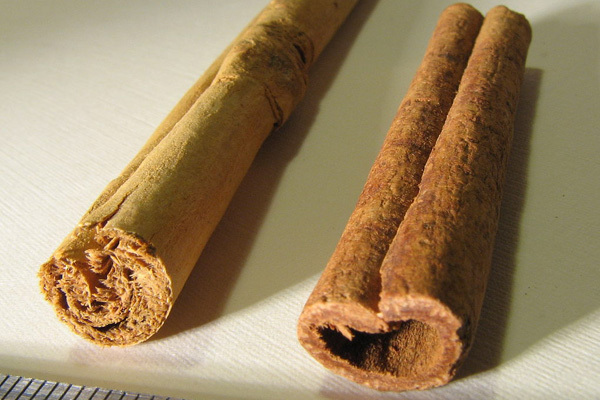 Cinnomum cassia or Cinnamomum aromaticum – Strongly aromatic, but also sweet and warm; slightly bitter and astringent compared to Ceylon cinnamon (below). Often the mildest of the cassia. Cinnamomum verum or zeylanicum – Ceylon Cinnamon, also called “true “ cinnamon and often used for medicinal purposes. The flavor is complex, sweet, but mild with no bitterness or astringency. Some detect a hint of citrus. These quills are very soft and grind very readily in a home spice mill. Cinnamomum burmanii – Indonesian Cinnamon, also referred to as Korintje. The most aromatic, with only marginal bitterness or astringency. Not as complex as Ceylon. This type of cassia is what is most often ground and sold commercially to home bakers. It would be considered the “standard” used in most Western baking applications. This variation has strong, stiff quills and is often used in stick form in cooking as well as in crafts. Perfect as a stirrer in mulled cider. Cinnamomum loureiroi or loureirii – Vietnamese or Saigon cinnamon. Strongest of the different types – intensely sweet and hot. This is due to the high concentrations of essential oil, up to 7%, which is the highest of all the cinnamons. Cinnamomum verum or zeylanicum is ”true” cinnamon. Any type that is not verum/zelanocum is a cassia. 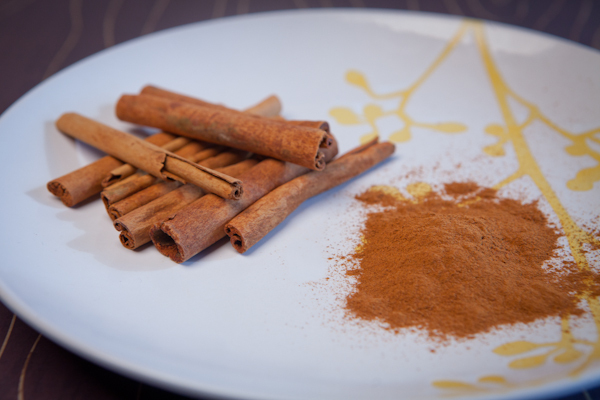 Although cassia and cinnamon are not the same, they are usually both referred to as “cinnamon” and are somewhat interchangeable. This spice is most commonly sold ground and in stick (or quill) form, but can also be found in chunks. The sticks are actually the inner bark of the tree that has been rolled, pressed and dried. Ceylon cinnamon on the left shows the soft, layered quills. Cassia cinnamon on the right shows the hard, stiff quills. The spice does contain coumarin, which is toxic in high doses, mostly affecting the liver. Cassia contain up to 5% while Ceylon or “true” cinnamon contains only trace amounts, typically less than 0.5%. Neither is considered a risk when used for typical culinary purposes. Norwegian researchers established a new Tolerable Daily Intake (TDI) for coumarin of 0.07 mg per kg of bodyweight per day. Read more about safety at DigitalJournal. Another source states that the European Food Safety Authority (EFSA) established (TDI) of 0.1 mg/kg body weight according to this University of Mississippi study of April 2013.